You may have listened to some of my interviews on the Home Discovery Show with Ian Power. 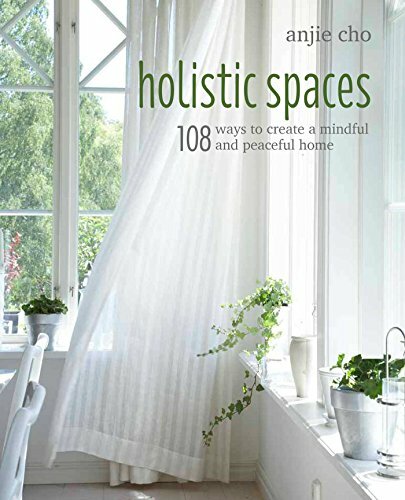 I thought it would be fun if I interviewed Ian for Holistic Spaces instead! AC: Can you tell us about the Home discovery show? IP: The Home Discovery Show on CKNW News Talk AM980 Vancouver and the Corus Radio Network across Canada opens up where people live. Just think that if it's happening at your place, you should share. That could mean a quick how-to fix for a leaky faucet or leaky roof to how does a heat recovery system work to landscaping to design & decor to ripping down walls for a full-on renovation! The program also covers issues such as urban eco density, heritage restoration and preservation and other green living options and initiatives. And, of course everything in between with tons of listener participation via the open line. How did you get involved with HDS and radio? As a career broadcaster, I have been extremely lucky to try my hand at almost every facet of the media. Most of my career has been on-air as a presenter and interviewer, but some of my most rewarding work has been as an instructor. While I don’t teach on a regular basis anymore I am involved in mentorship and attend schools frequently to talk about students future careers as broadcasters. Three or four years ago I moved into Talk-Radio hosting a program called Talk to the Experts whereby I interview “experts” on a wide variety of fields. We talk about finance, real estate, automotive, health, food, taxation, dentistry, gardening, home improvement and so on. On the heels of this program an opportunity presented itself to take over a 25-year run from a Canadian home-improvement icon who was set to retire. On a regular basis I am joined by an 18 year veteran contractor to help out with the most technical discussions. And while I rely on “experts” to answer listener questions it really is a job that is close to home for me. I grew up with a father who was in the home improvement business as a contractor. Through osmosis, I learned about how the house works as a system as well as the need to roll up my sleeves to perform regular maintenance. Can you give the readers some simple tips about home improvement? The most important thing for any home owner contemplating home improvement is due diligence and preparation. For most people DIY will take twice the time as a professional and at least double the headache. Most home improvements are disruptive and invasive and the need for planning is crucial. Today there is so much information available that it is easy to understand, but it also opens the possibility of overload and confusion. It’s important to take the time, before you hire a contractor, to actually go out and talk to their references, see the work that they have done and ask the hard questions such as how were deficiencies and things like warranty handled. I would also encourage a home owner to look into the contractor's professional associations to see if they are in good standing among their peers. Try to avoid doing things on an impulse. The more prepared you are the more satisfied you are likely to be with the outcome. Planning is key. Click here to listen to Ian interview ME on the Home Discovery Show. 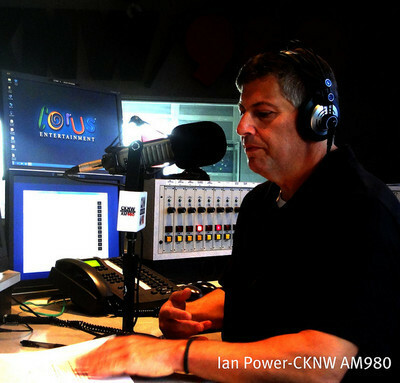 Ian Power is a career broadcaster, writer, producer, educator and mentor. He lives in Vancouver, BC, Canada with his family where he enjoys the west coast lifestyle, never far from the mountains and water, hiking, biking and walking his dog. Known for his easy going, comforting style he has interviewed some of the world’s biggest celebrities, but always seems to bring out the best in people when he’s talking to his many devoted listeners about what truly affects their own lives.